Email writing is one of the most important forms of formal communication that we use now. And since most of our communication happens through this medium, it becomes absolutely necessary that we be good at it. Misunderstanding, miscommunication can ruin our chances when it comes to serious business. Let’s look at the nuts and bolts of writing effective emails. We will first look at the components of an email and how to deal with each. And then we discuss some of the important principles of writing as they apply to email writing. To: The email id in this space suggests that the mail is directly relevant to this person addressed. For action or for information. Try and not clutter this place with multiple email ids. It will only confuse the recipients. Subject line: The subject line is vital in getting your email noticed in the deluge of mails that arrives in everyone’s inbox. Relevant subject line also helps easily look up older emails. Editing the subject line or starting fresh mails for new information is a good idea. Always make sure that you write an appropriate, but short, subject to the mail even if it is an umpteenth reply. Greeting: You could choose a formal or informal one depending on who you are writing to and whether it’s an internal or external customer. While some companies are ok with ‘Hi’ as a greeting, some others insist that it sounds informal and ‘dear’ should be used instead. I have always used ‘Hi’ and it has worked out fine for me. You may want to use what you are comfortable with or follow company policy. Body of the email: This is the most important space since this is where the purpose of your email is. It’s important to structure your message so that it facilitates easy comprehension. (Read on for more on structure). Please don’t make PFA or FYI your entire message. Try and add at least a line as a message. Go directly to what you have to say at the beginning of your mail. Everyone is busy and has no time to read a long email to discover the purpose at the end of the email. Signature: The signature at the end of the email is generally a standard format that most companies prescribe. It generally includes most official information about you – your name, contact information, office address and sometimes skype id. This ensures that the people who receive your emails, especially external customers, can easily contact you in case of need. Let’s now look at the mechanics of writing an effective email. Structure: Should roughly consist of a beginning, middle and an end. The first thing to do is to have a clear idea of what you want to convey. And then structure it accordingly starting with the most important point first. The structure of an email is the way you arrange your thoughts. It should have a clear introduction of what you want to say. Short and concise emails are the best. But if you must deal with more than one thing in a mail, put them in paragraphs. Move on to the next point only after you have completed the previous one. Use bullets and lists, wherever necessary, to make things simpler. Style: Style of an email is the words you use. The simpler the language the lesser the chances of being misunderstood. Difficult words might impede the reader’s understanding of the message. It is also important to take care not to use words which might sound rude or inappropriate. Using casual language while writing can be a case in point. Choose the right words. Concrete nouns are better than abstractions, learn negative and positive shades of words – weary, tired, exhausted, fagged out or fired; dismissed, discharged, terminated – synonyms can be used differently in different contexts. Chop sentences into comprehensible bits. Instead of long and winding ones which make it difficult to understand the message. Tone: The tone of your email is the manner in which the reader feels you are talking to him or her. Again, choice of words becomes important. Also, it is important to use formal English so that you sound serious and the message gets through well. Since written words do not speak out loud, it is very important to make sure your words do not convey meanings others than the one you intend. Be very sure of the right tone before you hit send. Punctuation: This is a tricky bit where many of us go wrong. Overuse of exclamation marks and wrong use of apostrophe are classic examples. I think using full stop much less than we should is also a crime. Punctuation is an important component that makes written English easier to comprehend. The period and commas help thought breaks. Colons and semicolons add or enhance the meaning of what you want to convey. Proof reading: When I was in school, my sister would strictly instruct me to read my answer sheet from start to end before submitting it. We called it revising back then. But the lazy one that I was, I only did it half heartedly and mostly revised only half of it! But as a professional I realized that I had to revise my writing since proofreading was my golden opportunity to correct my errors before others saw it. 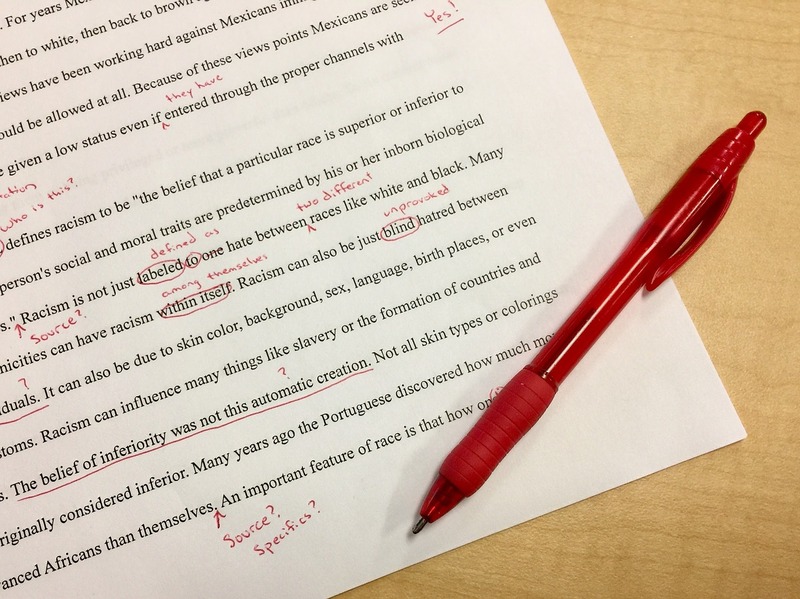 Proofreading and editing, to me, is the most important part of any final written material. They are like the important garnishing that makes your final dish look beautiful. And here, the garnish is more conspicuous by its absence. Imagine receiving an email or a report with typos carelessly uncorrected. Or missing punctuation that leaves you confused about the meaning. Every thing that you write, even a quick one liner, has to be given a second read. You meant it well but typos creep in inadvertently, don’t they? Run an eagle eye over what you have written looking for typos, errors in spelling and grammar. Make sure the length of sentences is appropriate and it conveys the meaning you intend. Make this a practice and I assure you that you will never be caught for bad writing or miscommunication. Finally, let’s talk about some pointers that you should keep in mind while writing emails. Keep the use of Bcc to the minimal. I don’t think it is appropriate in a corporate scenario to mark emails without the knowledge of other recipients. Remember to clear up unnecessary trail of forwards or irrelevant heavy attachments. Remember – CAPITAL LETTERS MEAN SHOUTING. Use standard fonts and minimise the number of colours you use in your mails. Avoid slang or chat language in all forms of formal communication. Don’t use technical words or abbreviations whose meanings are not common. Suggested activity: Avoid sending out emails with just PFA and FYI. Write out at least one liners to begin with. And don’t hit send before you run your eyes through your writing one more time.